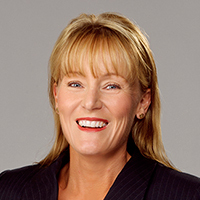 Raelene Harrison is a Senior Fellow in the Melbourne Law Masters program. Since being admitted in 2000, Raelene has practised as a lawyer specialising in corporate, commercial, financial services, governance and trusts. Raelene is Principal of her own legal practice. Her practice now includes governance, NFP, animal and equine law. Raelene has a Master of Laws, Master of Banking and Financial Services Laws and a number of graduate diplomas in areas including corporations and securities law and sports law. Raelene has completed an undergraduate degree in equine science and is currently completing postgraduate study in animal science. She is a regular presenter at industry groups and conferences on topics including corporate governance, animal welfare and equine law. Raelene is a director and committee member on a number of boards and committees.